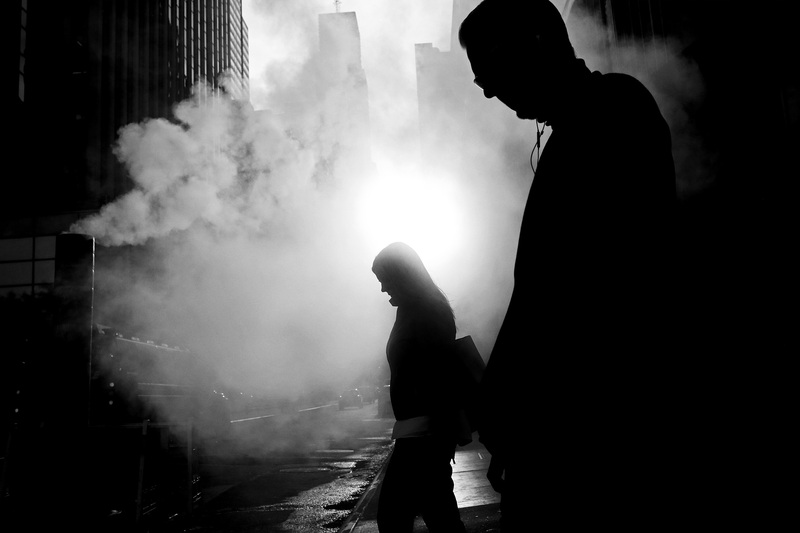 f50 is delighted to introduce a new series of interviews starting with New York City street photographer Rich Docherty. Capturing great images is not just about the process of photography. It’s about having an interest in many things. Interests which enlarge and hone your perception; like writing, video production, movies, an appreciation of the masters, etc. 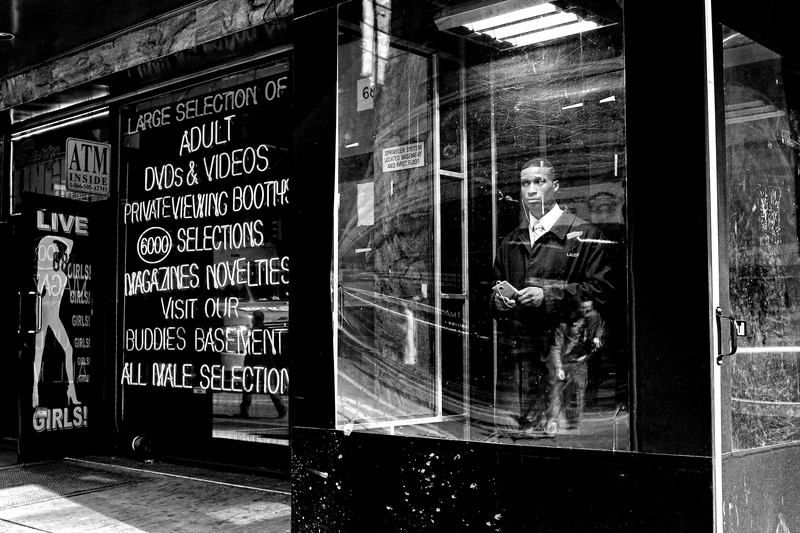 Interests which New York City street photographer Rich Docherty puts to good use in his outstanding street photography. Working in colour and bw, Rich’s work is characterised by tight compositions, strong graphics and wry wit. 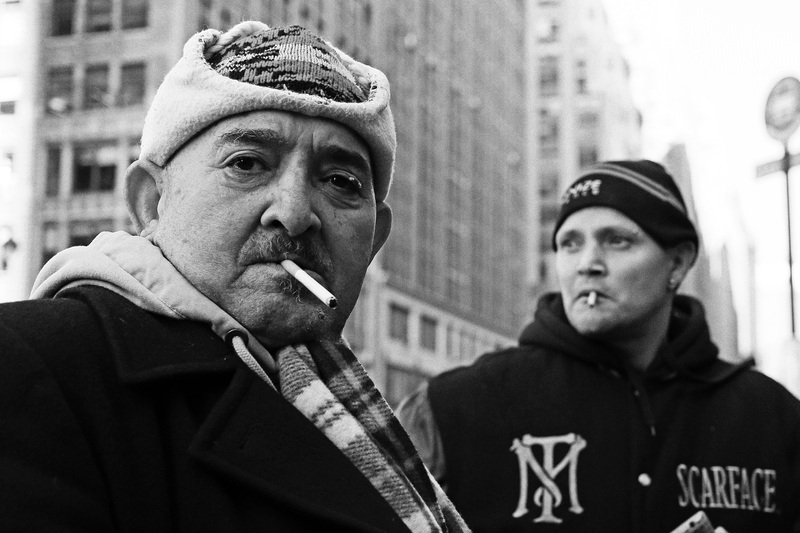 Here he gives us an insight into his working methods and his experience of shooting in NYC. f50: Please tell us a little about yourself and how you got started in photography. RD: Caught the photography bug in college, took a couple of courses, shot Tri-X, developed film, spent time in a darkroom learning how to make prints. Thought about becoming a photojournalist and maybe working for a newspaper. But a different career path beckoned and I mucked around in tv news for a while, first as a cameraman, then video editor and finally as a producer. Wasn’t taking any pictures at all during this period, in fact, didn’t even own a camera! Wrote a bunch of bad screenplays, a young adult novel (“Dead As Dutch”), made an indie film (“Dumping Lisa”) with a friend and eventually, long story short, 3 ½ years ago got around to starting a photo blog (NYC Snapped) and doing the street photography thing in New York City. It wasn’t until about 6 months later that I felt comfortable enough posting pics on Twitter. 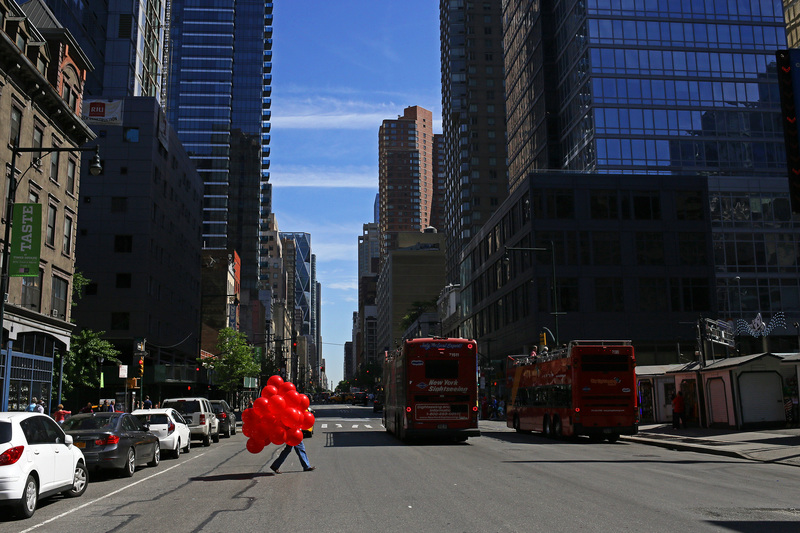 f50: What is your normal working method when shooting on the street? 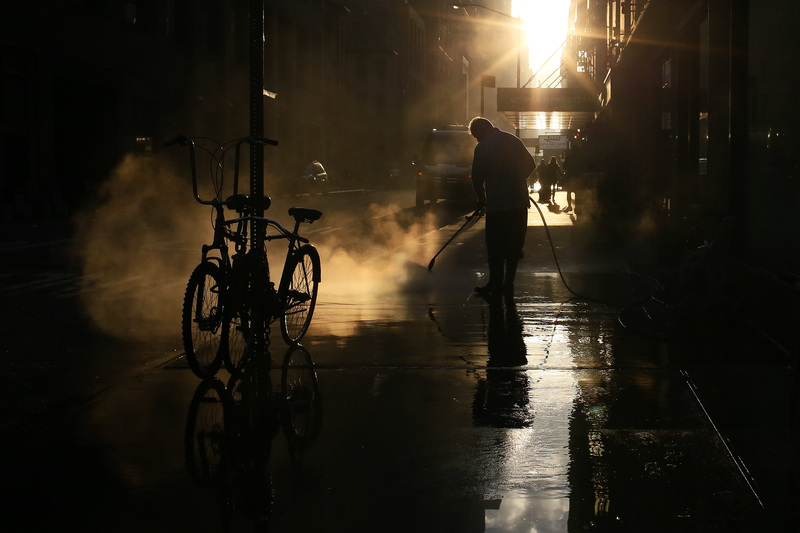 RD: Assuming I have the time and weather cooperates, I get up early and hit the streets in the morning when the light is optimal (soft, not midday harsh) and NYC is reasonably “quiet”…especially on the weekends. On a typical outing, I’ll ramble about for 5-6 hours, 10-12 miles, in no particular pattern, although I have my favorite streets that seem to yield more photos than others. And yes, I do shoot “from the hip” (the sternum actually) more often than not because I discovered during my humble beginnings on the street that being a bit stealthy is usually the best way to “capture the moment.” My methodology isn’t very complicated, simply wander about and if I see something that catches my eye, try to make a picture, although frankly I miss more than I get and often return home empty-handed, without a single photo taken. I don’t spend much time “working a scene”, mostly just grab a shot and move on to whatever’s next. I use a Canon 6D DSLR with a 35mm prime lens. The set-up is a bit heavy and way too conspicuous for street work, but then I think about the remarkable images Vivian Maier achieved toting around that cumbersome Rolleiflex and say to myself…what am I complaining about?! f50: Many photographers tend more towards colour or black and white, but you alternate regularly between them. What do you see as the relative merits of colour vs. bw for street photography? RD: Color or b/w? Aah, the age old question! For me, it’s totally subjective and a “gut” feeling which way to go. In general, if I’m lucky enough to get a shot with vibrant colors that “pop” and “jump off the page”, then it’s an obvious and easy decision. Usually though, converting to b/w gives a photo a more authentic “street feel”, I suppose because the genre historically and traditionally developed monochromatically. In a way, it’s more difficult to nail a strong color pic than b/w because I think the latter is a bit more forgiving and is viewed as “more serious/artsy”, but certainly there is plenty of room for both in the street photography world. Saul Leiter’s pioneering color work proved that. f50: There are recurring characteristics in your work such as high contrast, strong graphics, unusual sights, and wit/irony. To what extent are these characteristic features of your location or the result of a deliberate search for a particular type of image? Would you say there an identifiable Rich Docherty style? 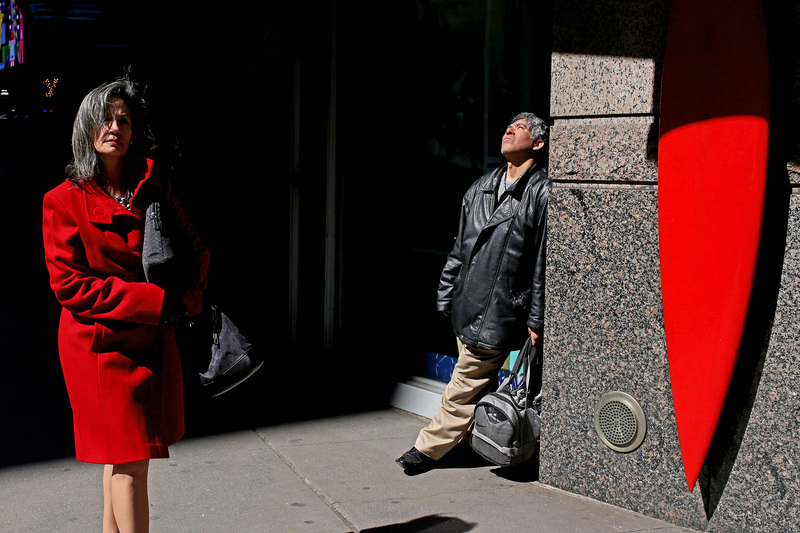 f50: To what extent does the history of street photography in NYC influence your work? 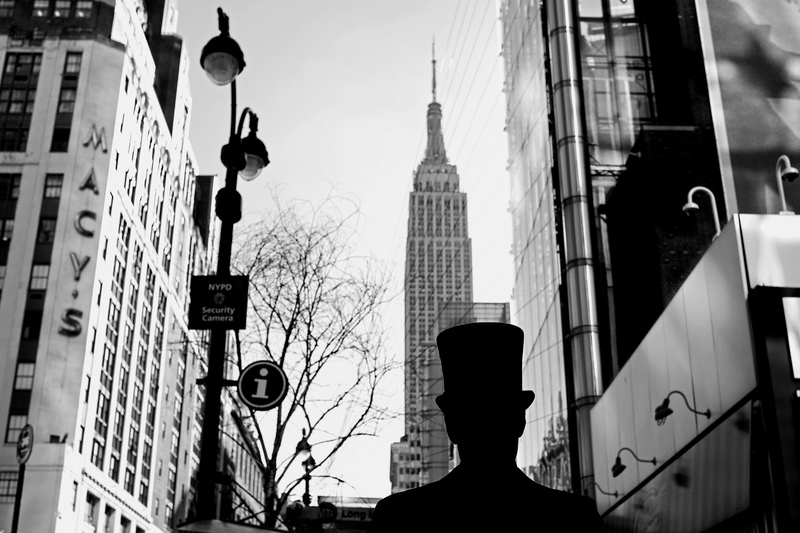 Are there any particular photographers, associated with NYC, that inspire you? 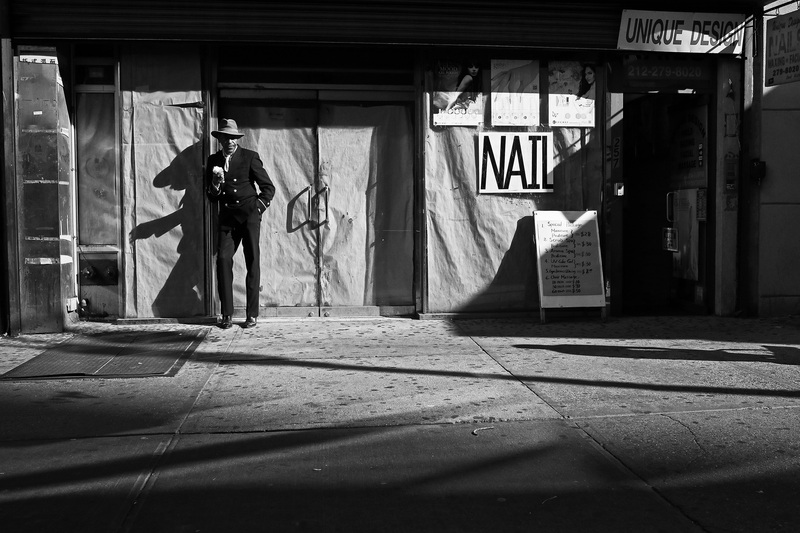 RD: The history of street photography in NYC has never influenced me in a conscious way, although I am certainly aware of the greats of the past, and present, who have established and carry on the tradition here. I will say that I am a big fan of Winogrand and Erwitt for the wonderful wit their images display, but that’s not to discount others such as Joel Meyerowitz and Ruth Orkin, to name just a couple. f50: It’s currently fashionable to produce bodies of work ‘about’ something (an issue or community for instance). Do you work in that way or are you more interested in the single image or working thematically? RD: Generally, I can say that I work image to image, one shot to the next, never thematically. Whatever I run into that resonates with me, I try to capture. NYC is such a hodgepodge and so crazily unpredictable that images crop up in a random, chaotic kind of way, and the challenge is to be ready for them. As I mentioned earlier, I fail more often than succeed, mostly because I’m wasn’t focused (pun not intended) on the task at hand (wandering mind syndrome!) or didn’t anticipate properly: Usually I am keeping an eye out at least half-block ahead for potential subject matter. 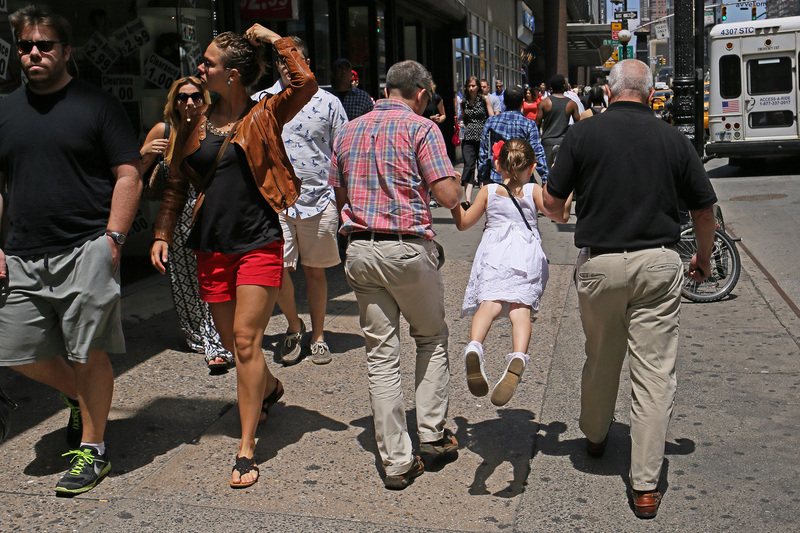 That said, NYC isn’t the easiest place to shoot because crowded sidewalks will often block a shot or prevent positioning yourself in the ideal location. Trust me, this can be frustrating! I can’t tell you how many times a shot was “ruined” by a pedestrian popping into the frame, but I suppose this is the universal lament of all street photogs. Alas, just have to roll with the punches. f50: Everyone with a camera seems to claim they are a ‘street photographer’ these days. 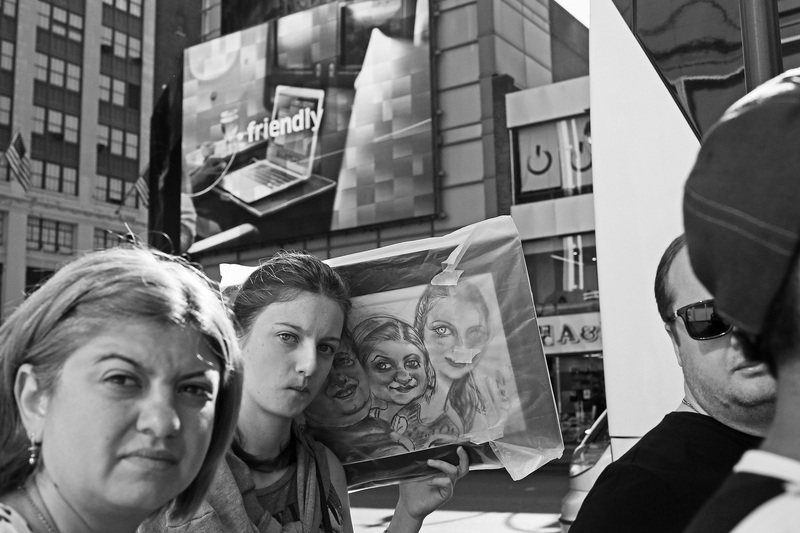 How do you view the current popularity of street photography? RD: I’ll answer this one with an anecdote from a few months ago. As I was motoring along during one of my morning strolls, a gentleman next to me noticed my camera and then pointed to a woman walking in front of us with a large sunflower sticking out of her backpack. He said to me: “That’s a great street photography shot. Why don’t you shoot it?” I thanked him for the suggestion, but didn’t take the photo (he seemed annoyed at my reticence). Perhaps it was indeed a terrific street photography pic—for him, but not for me. It simply didn’t “move me”, didn’t inspire, didn’t scream out at me demanding to be recorded on my camera’s sensor. And I have no regrets for passing it up. Because we all see things differently and my vision isn’t necessarily going to match-up with someone else’s. To me, that’s the beauty of street photography—plenty of room for everyone to dive in and allow their own sensibilities to quench their creative urges—whatever they may be. Like shooting sunflowers in backpacks. f50: Finally, where do you see your photography in five years time? A second book is planned for release early next year and perhaps more beyond. An exhibition would be a welcome experience, but the expense to mount a show in, say, a gallery, is not financially feasible right now. 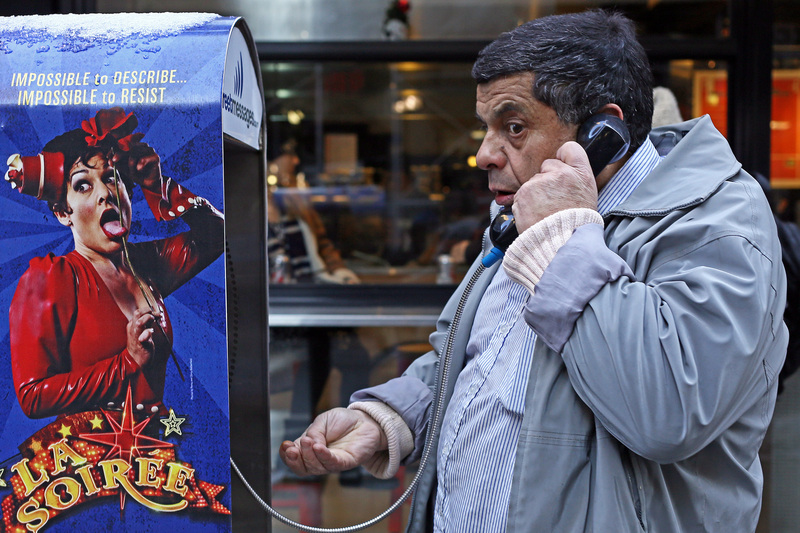 In the meantime, there is still plenty of joy and fulfilment to be had on the streets of NYC!! Excellent Interview and some great pictures. Next PostNext Documenting Brutalism by Tony Harratt.